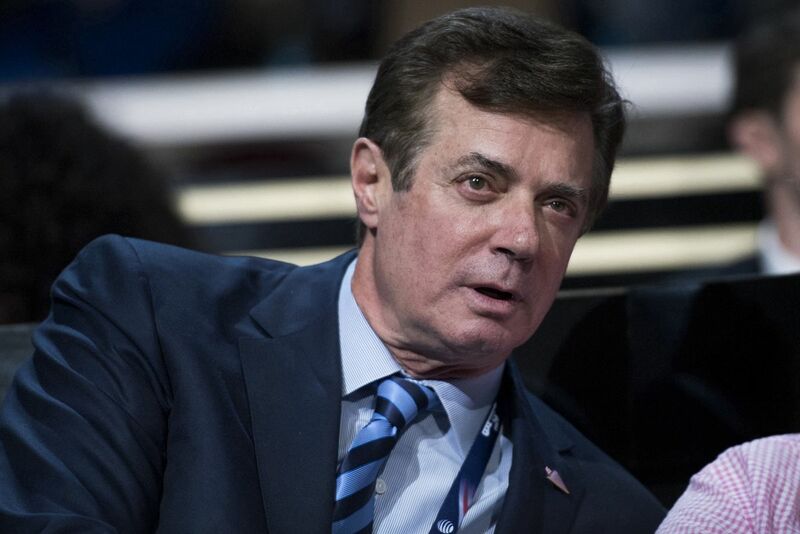 WASHINGTON — When President Donald Trump’s former campaign chairman wants to call his lawyers from jail, he doesn’t have to line up at a pay phone. He just picks up the private line in his cell. Paul Manafort also doesn’t wear an orange jumpsuit or any other prison uniform. He has his own laptop computer, complete with an extension cord. Not to mention a private toilet and shower. The jailhouse accommodations are plush enough that Manafort boasted of his “VIP” treatment during a recorded phone call. The conversation and other details of his confinement were cited by prosecutors in an unusual court filing on Wednesday aimed at convincing the judge to reject Manafort’s demand to delay his trial, now scheduled to begin July 25. His cushy arrangement could be coming to an end, however, as Manafort is relocated over his objections to another jail closer to the courthouse in Alexandria, Va.
Special counsel Robert S. Mueller III has obtained criminal charges against 20 individuals so far, but Manafort is the only one facing trial. Five defendants have pleaded guilty, another has not yet pleaded, and 13 Russians were indicted for their alleged role in Moscow’s covert campaign to boost Trump in the presidential election but are outside the reach of U.S. courts. Manafort, once a high-flying Republican operative who earned tens of millions of dollars as a consultant to foreign leaders, was indicted in October on a dozen financial charges, including fraud and money laundering, stemming from his work in Ukraine. He pleaded not guilty to those — and about a dozen subsequent charges. He was out on $10 million bail until last month when he was ordered jailed for what prosecutors alleged was attempted witness tampering. Since then, Manafort has been held at the Northern Neck Regional Jail in rural Virginia, about two hours from Alexandria. Manafort, 69, could spend the rest of his life behind bars if he’s convicted. Even if he is acquitted in Alexandria, he faces a second federal trial on related charges across the Potomac River in Washington. Accordingly, his legal team has filed motion after motion in U.S. District Judge T.S. Ellis III’s court, seeking to get the charges dismissed, to get Ellis to suppress evidence, to move the trial further from Washington, and to delay the start date so Manafort can adequately prepare. The request for a delay prompted an angry response Wednesday from Andrew Weissmann, a top prosecutor working for Mueller. Manafort’s lawyers had described his conditions as “solitary confinement,” but Weissmann called the cell “a private, self-contained living unit” with amenities unavailable to other inmates at Northern Neck. Weissmann also cited excerpts from recorded phone calls — inmate calls are typically monitored except for discussions with attorneys — to undercut Manafort’s argument that he’s been unable to prepare for his trial. Manafort has spoken with his lawyers every day since his incarceration, plus made another 200 calls with other people, according to the court filing. In addition, Weissmann suggested that Manafort is circumventing jail rules preventing emails by using a second laptop “shuttled in and out of the facility” by his lawyers. “When the team takes the laptop from the jail, it reconnects to the internet and Manafort’s emails are transmitted,” he wrote. The judge had a few choice words to share with Manafort this week. After his lawyers complained about the two-hour drive to Northern Neck, Ellis agreed to relocate Manafort. But on Tuesday, the defense team changed position and opposed the move. “Issues of distance and inconvenience must yield to concerns about his safety and, more importantly, the challenges he will face in adjusting to a new place of confinement and the changing circumstances,” wrote Jay Nanavati, a lawyer for Manafort. Ellis ordered Manafort moved anyway, noting that the defense did not raise any security concerns. The judge included a particularly acid footnote. Manafort is accused of failing to register as a lobbyist for the pro-Russian government of Ukraine, then using offshore accounts and shell companies to launder $30 million generated from his work there to avoid U.S. taxes. Prosecutors also said he fraudulently obtained bank loans to boost his finances when his client, former Ukrainian President Victor Yanukovych, was overthrown and fled the country. Manafort has not been charged with crimes related to his work for Trump’s campaign, nor have prosecutors accused him of conspiring with Russians to influence the election. But they expanded the indictment this month to add obstruction of justice, which landed him behind bars because the conduct allegedly occurred while he was out on bail. Prosecutors said Manafort had contacted former colleagues to share inaccurate information about the Ukrainian lobbying effort after Richard Gates, Manafort’s onetime business partner and his deputy on the Trump campaign, pleaded guilty in February as part of the Mueller investigation. Gates admitted to lying to federal agents and conspiracy for participating in various criminal schemes with Manafort. Judge Amy Berman Jackson, who is overseeing the Washington trial, sent Manafort to jail on June 15. “You have abused the trust placed in you,” she told him. Manafort has been unable to improve his situation since then. His lawyers previously asked Ellis to dismiss the charges against him, claiming that Mueller had exceeded his authority by pursuing a financial crimes case unrelated to the Russia investigation. Ellis denied the request on June 26, even though he questioned the wisdom of appointing a special counsel to investigate Russian election meddling. “Although this case will continue, those involved should be sensitive to the danger unleashed when political disagreements are transformed into partisan prosecutions,” he wrote. Manafort’s lawyers tried another tactic on July 6, asking Ellis to shift the trial to Roanoke, Va., more than two hours away. They said media attention in Washington was too intense for Manafort to get a fair trial so close to the nation’s capital. The judge has not ruled on the request, but it seems unlikely to succeed. Ellis has already ordered U.S. marshals to transport Manafort to Alexandria for the trial.